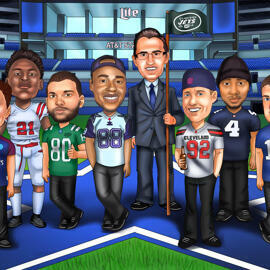 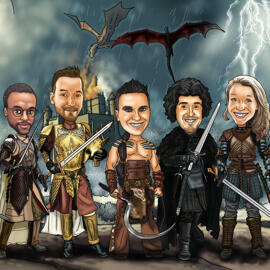 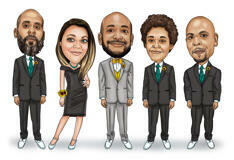 Commission our professional artist to draw a groomsmen caricature in digital style, based on your photos and ideas. 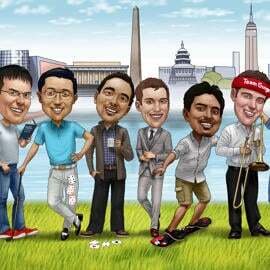 We try to capture each person's features perfectly, while making some exaggeration or highlighting personal hobby, manners and interests. 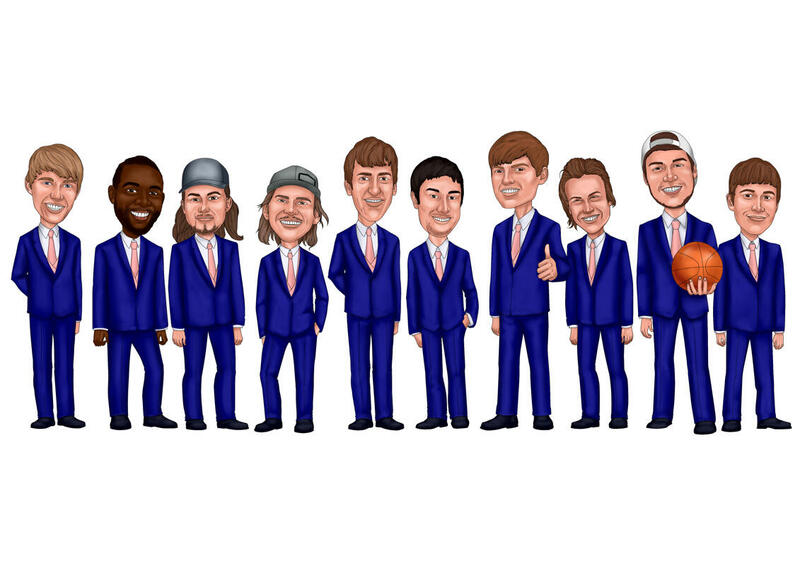 Ordering is quite simple. 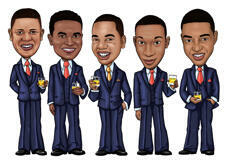 Select the number of people, upload photos and mention some details of each person which we have to depict. 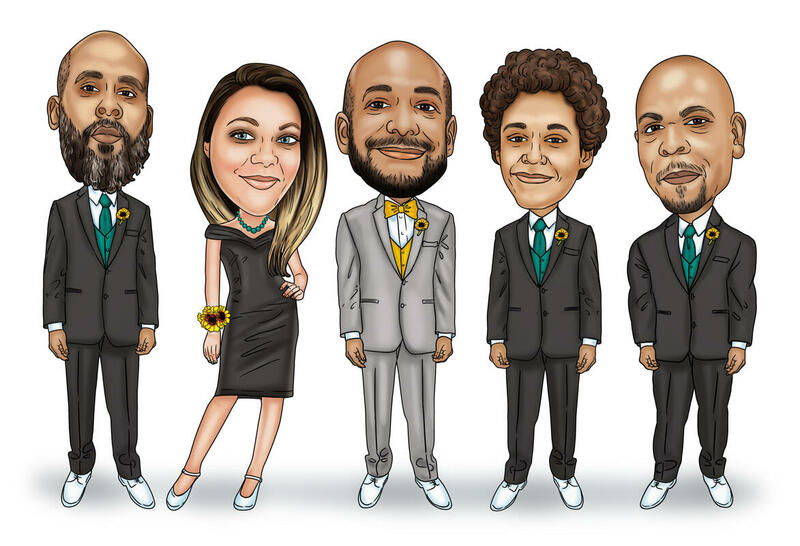 If you would like to design a special spot background on groomsmen caricature, then write it in the requirements box below. 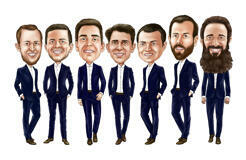 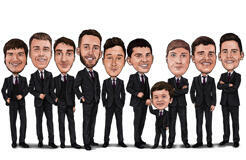 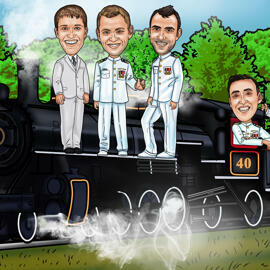 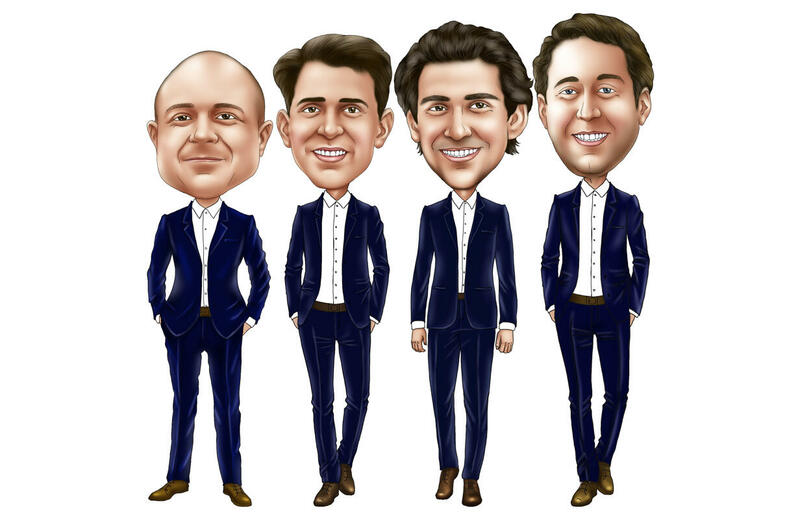 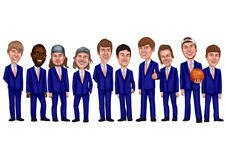 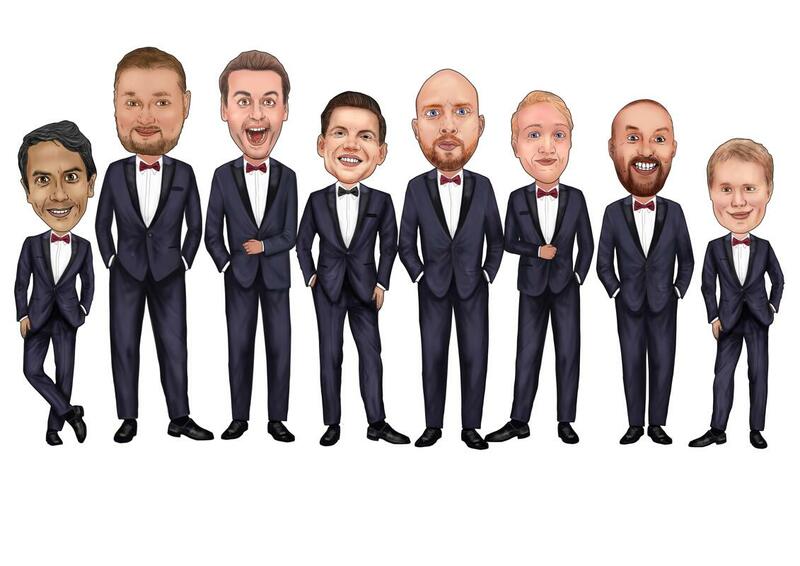 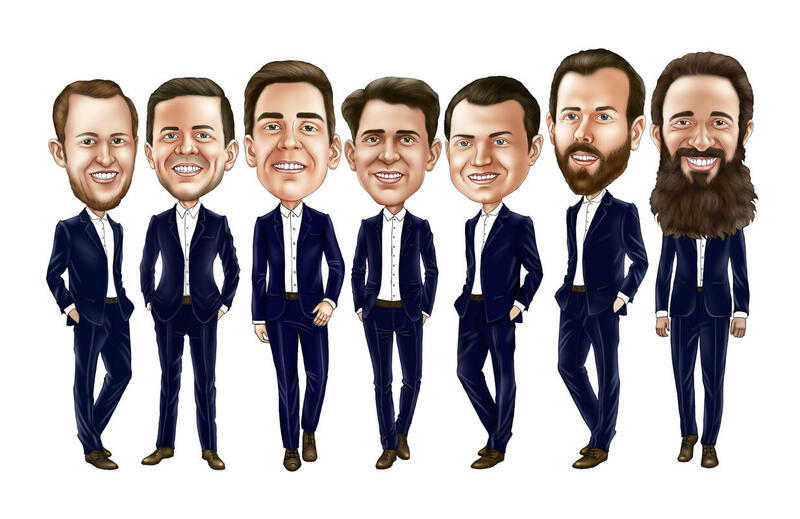 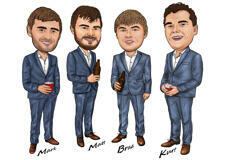 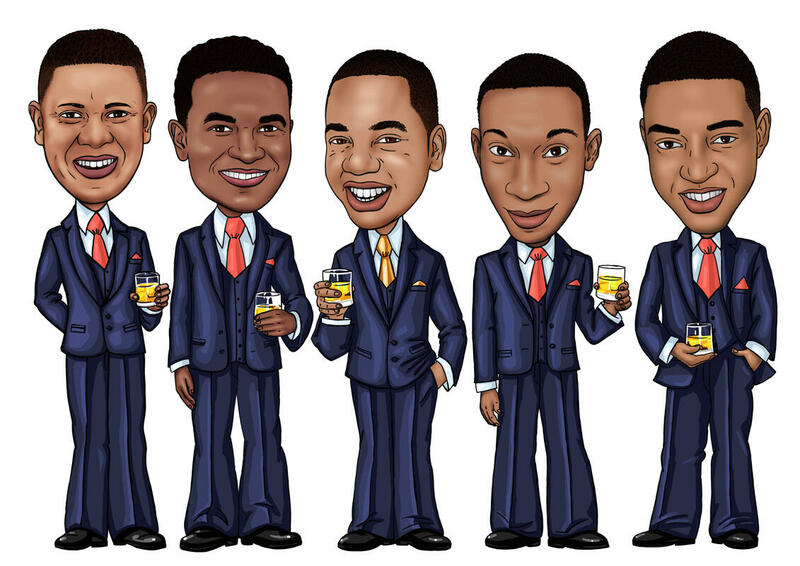 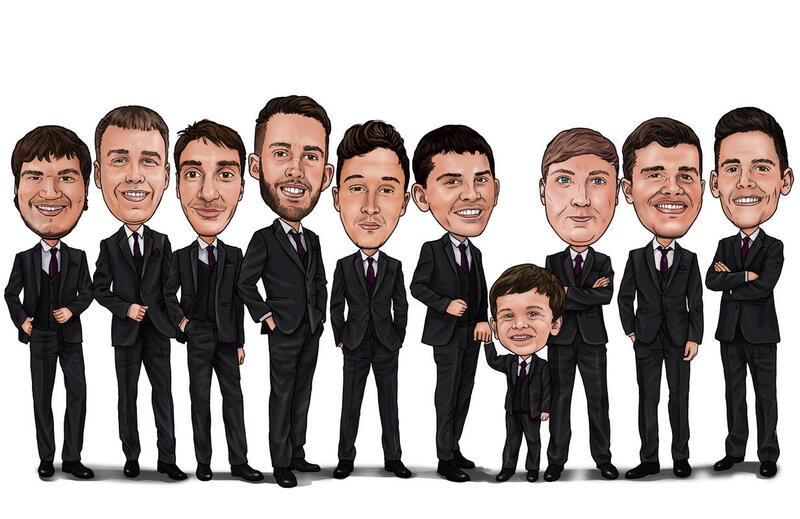 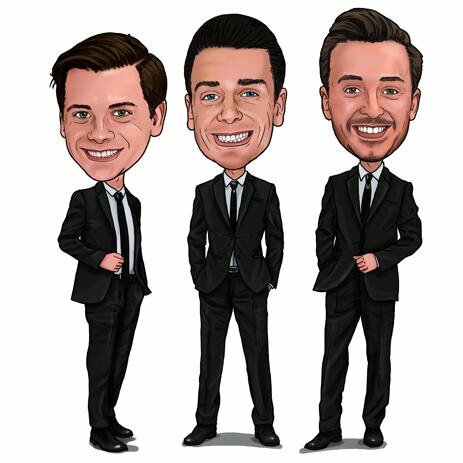 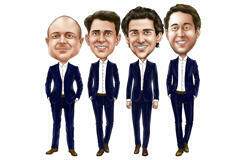 Groomsmen Caricature will be delivered as a stunning looking JPG File to your Email, by default. 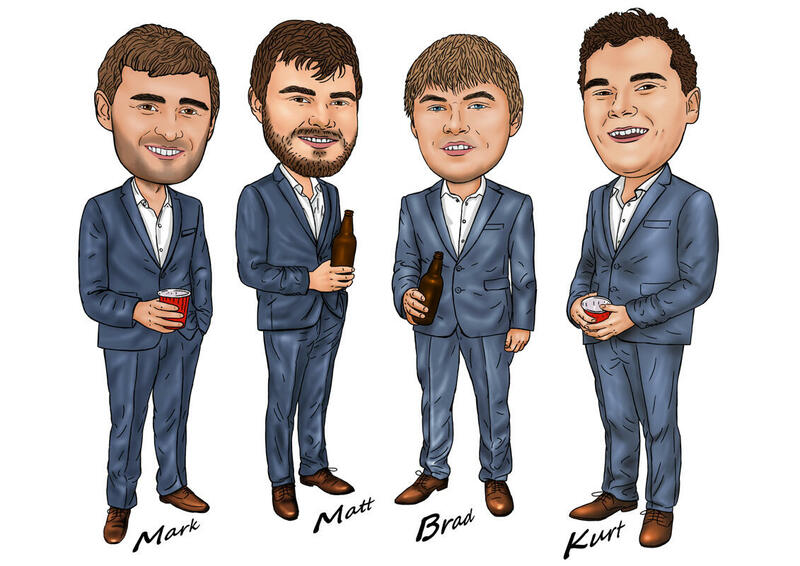 It is a ready to be printed file of high resolution, which we can also deliver to you as Printed Caricature on Canvas or Printed Photo Copy of different sizes and amount. 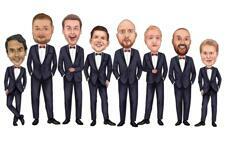 Guaranteed Worldwide Shipping.